April showers bring May flowers, and it also ushers in the spring/summer party season! Yup the cold days are mostly behind us and the forecast says sunny days ahead, or so we all hope. So what’s better than throwing some April Showers Parties this month? 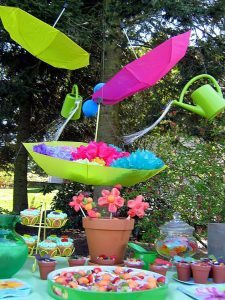 April Showers Parties can be birthday parties, baby and bridal showers, engagement parties, weddings, or just because it’s spring parties. So get out your umbrellas, rain boots, and flowers and host a colorful April Shower Party or even. Here are some ideas to get you started! April Showers Parties just wouldn’t be complete without umbrellas. Use them in your decor. I just love the floating inverted umbrellas filled with tissue flowers by Sweet & Petite Party Designs don’t you? 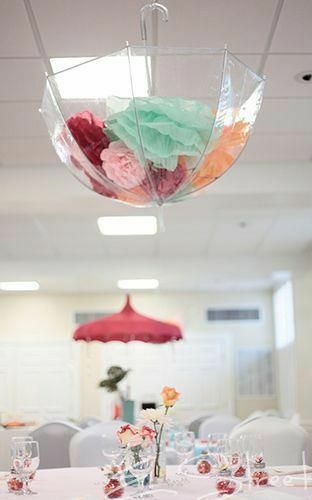 (Top photo) And the clear bubble umbrella, same concept, different style of umbrella, I found on Pinterest. 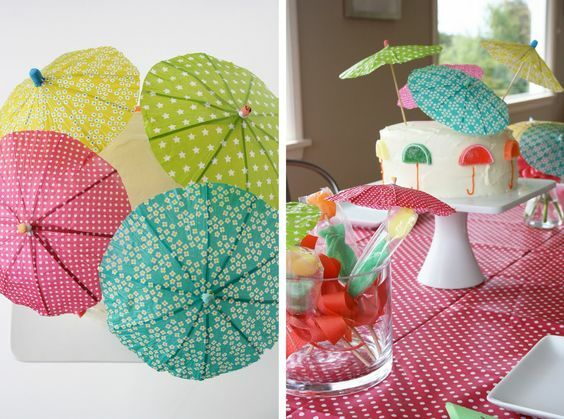 And what about these adorable little paper umbrella? Use them as cake/ cupcake toppers, and float them on drinks. Who doesn’t love a tropical concoction, with or without alcohol, topped with a colorful umbrella? 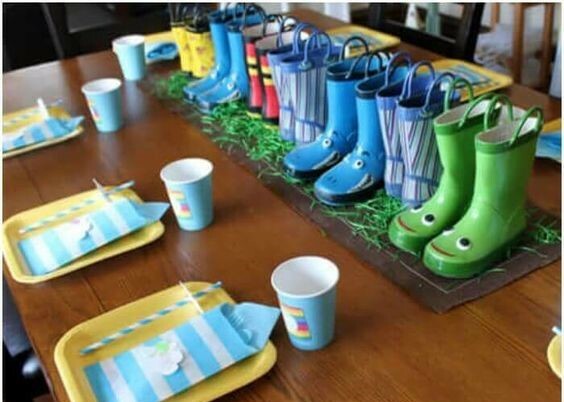 I just love kids’ rain boots they come in all sorts of colors and designs. Stock up on some to use as centerpieces and flower vases. If you don’t have kids who will use them send them home with guest who do! You can use adult sized rain boots as vases too. They look great by the door or in an odd corner or two. Or on rainy days place them by the door and use as umbrella stands. 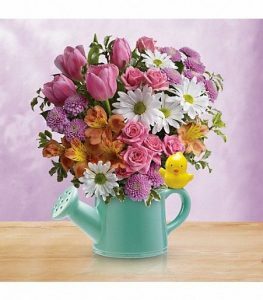 Watering cans make great flower pots or for a bit of whimsy make them float in the air! Dangle them from tree branches or light fixtures with clear fishing wire. They’ll look amazing! You can also use them to hold flatware at your buffet table! 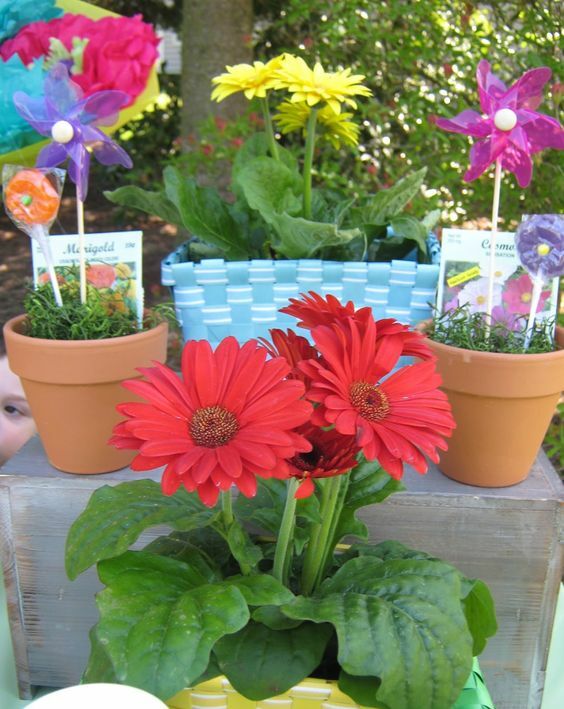 Small terracotta pots make great party favors. 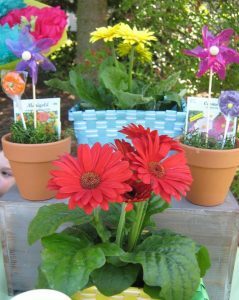 Place flowers, (real or silk) or pinwheels in the pots and tuck in a seed packet or two. Guest can take them home as favors! Of course you can use them to hold flatware at the buffet table as well, and they make awesome centerpieces when you fill them with colorful spring blooms! 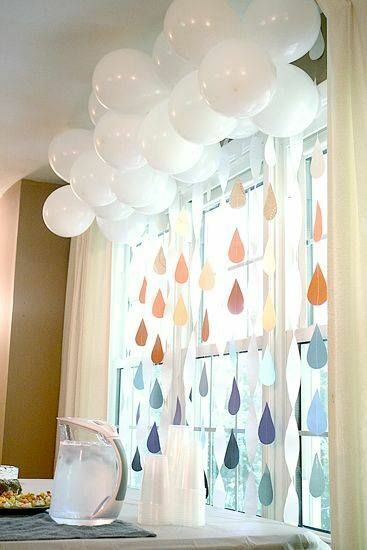 Make a colorful raindrop backdrop using white balloons for clouds. You can cut out cloud shapes from poster board and use that too! 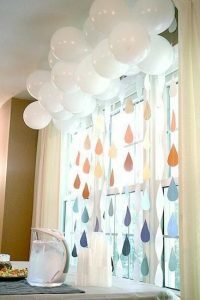 Cut out raindrop shapes from cardstock or construction paper then string them up on clear fishing wire, they look so pretty. Remember the raindrops can be any color you want! These are just a few of my favorite ideas for April Showers Parties. Do you have a cool idea? Please share we’d love to hear from you! Unicorns, rainbows, and princesses these three seem to go hand in hand. 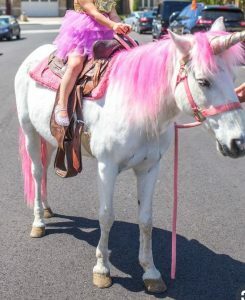 What little girl doesn’t dream of being a princess riding her magical unicorn down a rainbow? 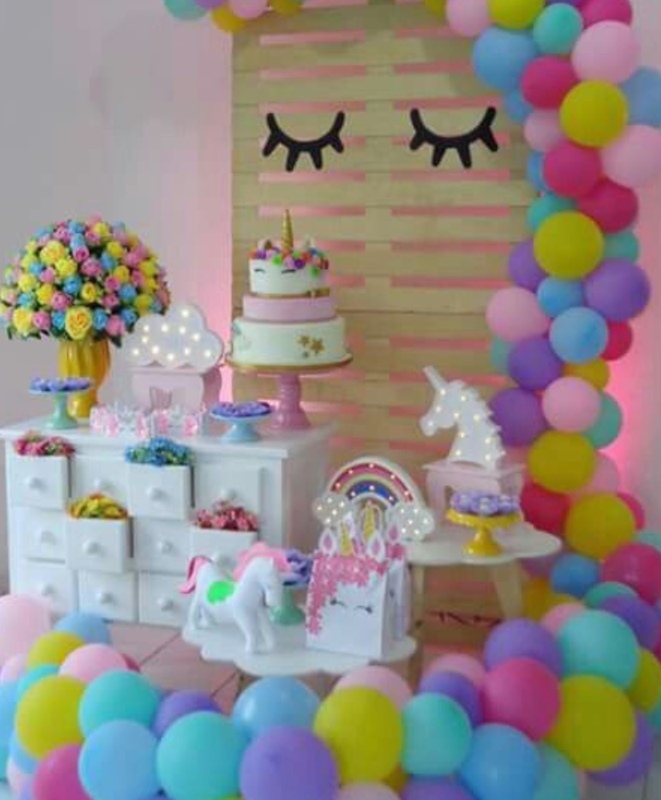 Any or all three would make an ideal theme for your little princess’s next birthday party. 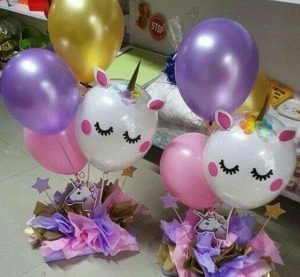 Of course you can use any or all ideas for your next party, but to keep it simple, sort of, I’ll stick with just one theme today, a Unicorn Party. 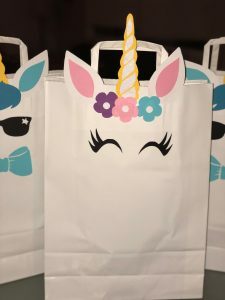 A unicorn theme party works great for children and adult birthday parties, bridal and baby showers, an just about any type of event you want. And don’t think it’s limited to girls only, just change the color scheme and nix the girly glitter and it’ll work for a boy’s or co-ed parties! 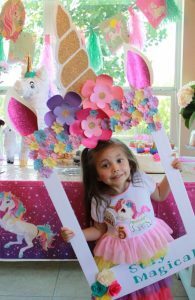 Here are some super cute ideas for a unicorn party! Hope they inspire you! Every party begins with an invitation. So set the stage by choosing a coordinated invitation like this pretty one by Jessie K. Designs. 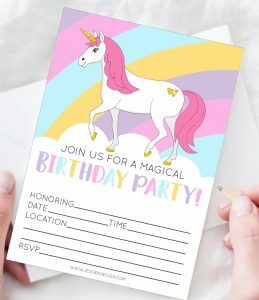 In fact she’s sharing this printable unicorn invitation for free! One of my favorite party planning activities is decorating. Coordinating decorations make any theme party more memorable. In this case all things unicorn of course! So go ahead let your imagination run wild! Banners, balloons, streamers, lanterns, centerpieces, photo booths, backdrops, and even dessert tables (think cake, cake toppers, plates, cups, table cloths, and napkins) can all be party of the decor! In my opinion you can never have enough decorations! I love these unicorn lanterns! 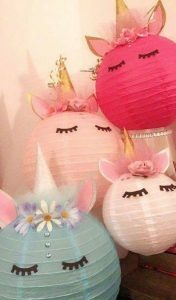 It’s amazing how these paper lanterns can be transformed into shy unicorns with a bit of paper, tulle, and flowers! Go ahead, mix and match colors and sizes! How about this dessert table? Love how tulle makes an awesome table skirt and a simple white board or canvas becomes a chic backdrop! 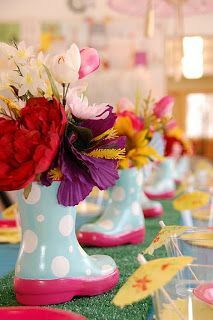 Don’t you love these adorable centerpieces? 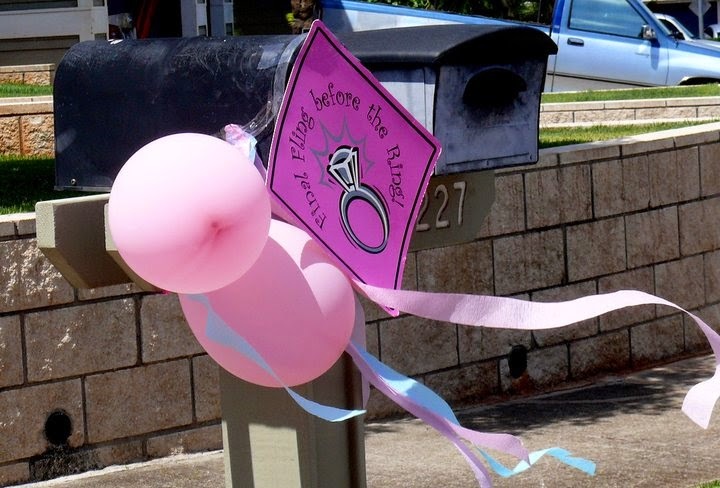 All it takes is some tissue paper, balloons, glitter and plain paper, and cupcake toppers. Secure them to a base and you’ve got a centerpiece! Use them at guest tables, buffet and dessert tables, and anywhere else. Hey they double as party favors! Make a frame and let guests take their own photos! They’ll love it! Cut out a frame shape from a poster or foam board. 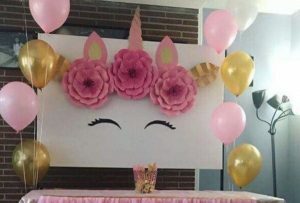 Glue on paper horn, ears, and flowers, and voila a unicorn frame! If you’re crafty with wood you can make a wooden frame and decorate with colored paper flowers etc. Just remember to keep it light weight, the kids gotta be able to lift them! Food, specially treats, definitely is a must. I’m sure there’ll be cake, there are many awesome unicorn cakes out there! 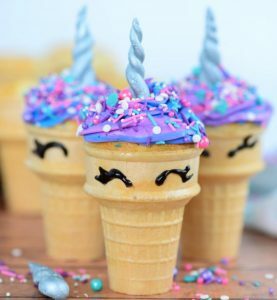 But how about these unicorn cupcakes by My Heavenly Recipes? They can be in addition to or instead of a unicorn cake. Click here for the recipe! 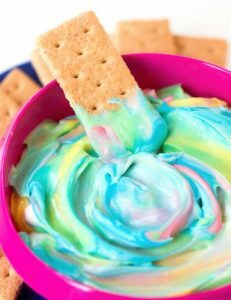 You can serve Unicorn Dip, chocolate covered strawberries, cookies, rainbow rice crispy treats, macaroons, and more. The secret is make it colorful! Better yet coordinate your treat colors to you theme colors! Keep guests entertained with a craft or some games. 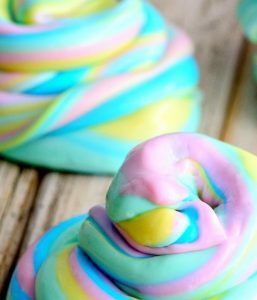 I love this Unicorn Slime by momdot.com. 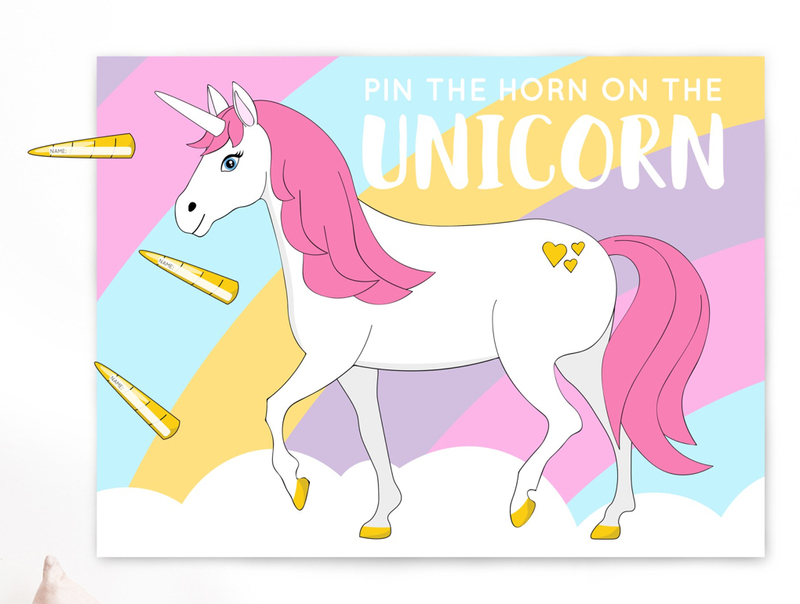 Or pin the horn on the Unicorn! Get this free printable from Jessie K Designs. 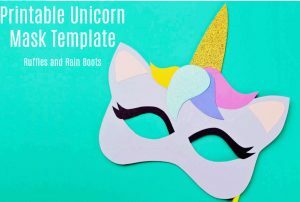 Make these unicorn masks! 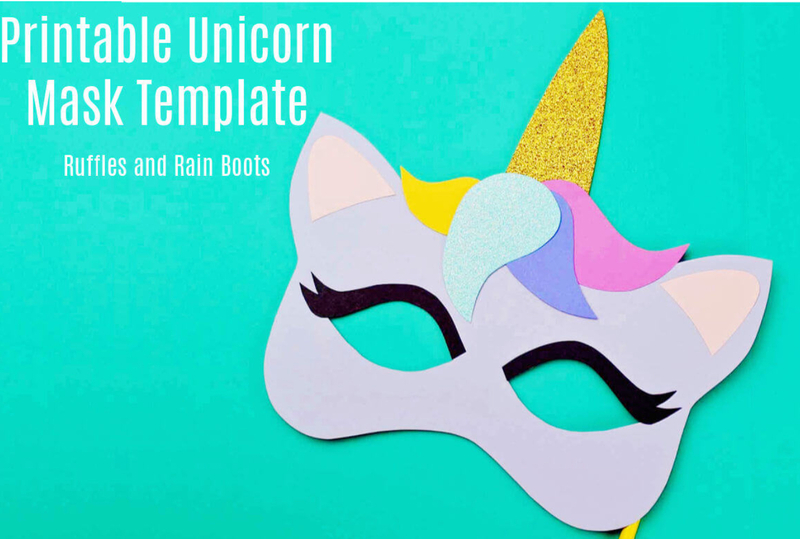 Get the free template from rufflesandrainboots.com! Unicorn rides would be a hit! Sign me up! But where do I get the unicorn? Check your local stables to see if they rent pony rides, many do! Now ask if you can dress the pony in a unicorn costume, they might just agree. Or if you’re lucky there will be companies who do rides for events in your area. I’ll bet they already offer unicorn rides. Your next best option would be to rent or buy a unicorn themed bounce house. 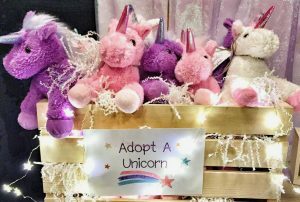 But I just love theses cute and cuddly plush unicorns guests can adopt! 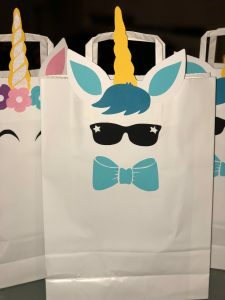 Whatever you decide you can send favors home in unicorn bags! Just cut horn, ears, eyes, shades, and other pieces out of cardstock and glitter paper and glue them on. Cake is one of the most important thing when you are having a party or during a holyday. This is why you need to pick the right cake to light up the party. There are a lot of things you should take into consideration from selecting the cake to receiving it at your front door or picking it up from the store. Also, take into consideration the design, the ingredients, and of course, your budget. In this article we are going to review Kroger in order to find out more about their products and the designs. If you want to learn more about how to order a cake from Kroger and about their prices, you can visit them in person or search for the fees online. Kroger cakes prices are going to help you decide if this store is the best one to order the cake your want. Kroger offer cakes for every occasion. At this bakery you can find cakes for birthdays, a baby shower, graduation, and even a wedding. For every occasion they have different licensed cakes. 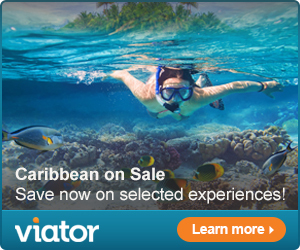 They have a vast selection of models and designs to choose from. When it comes to birthday cakes, this is the area where Kroger excels. They have a lot of models for kids and for adults. Also, they have licensed designs for boys and girls. Some of their designs include Star Wars, Paw Patrol, Frozen, and Spiderman. All of these are very interesting and your kid is going to love the bright colors and his or her favorite character on the cake. They also have simple designs which are great for a birthday cake. You can select a simple white or chocolate cake with a few sugary flowers as decoration. 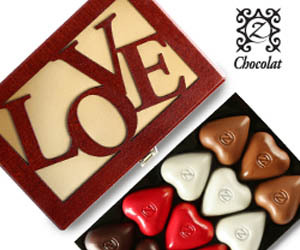 These are suited for anybody and they can even be a great birthday gift. One of the best thing about these cakes is the price. They price range between $24 and $47. As we mentioned, Kroger has different cakes for every occasion. What better occasion to have a cake then a baby shower. They have licensed special designs for this event. Some of their most known designs include Baby Special Delivery Stork and Baby Block. The price of these are almost the same as the ones for birthday cakes. If you want to have the perfect wedding but you are on a tight budget, you should pick out a cake from Kroger. They have 2 options: a 2-tier or a 3-tier cake. The designs are going to amaze you. These cakes look exactly like the ones you find at a renowned bakery and they also taste amazing. Also, this way you save some bucks on your wedding cake. One of the best things about Kroger cakes is that you can actually build your own cake just the way you like it. It is a great thing for people who want something special or simply when they don’t find the exact design they were searching for. Also, the best thing is that you can select everything from the cake type to the frosting and the decorations. This option is great for those who want to celebrate a different event than a wedding or a birthday. With build-a-cake option, they are allowed to make the cake just the way they want. You can customize the cake by selecting the type of cake (sheet or round) and then choosing the icing, flavors, and the decorations. Get creative when purchasing a personalized cake. After you selected and ordered the cake the only thing you can do is wait until the cake is ready. One thing you should consider is to pick up the cake a day before the part or at least a few hours before to make sure that the cake is ok. Kroger cake also offers a delivery option but not all Kroger stores have this option. Unfortunately, cakes need to be picked up from most Kroger stores. It is important to order the cake about 72 hours before the party to make sure that the bakers have time to make it. Also, if the party is during a holiday you will need to plan ahead. All in all, Kroger cakes have a great quality-price report. Since the price of the cakes are a lot smaller than the ones you will find at a renowned bakery, you should also expect the cakes to have a good design not an amazing one. 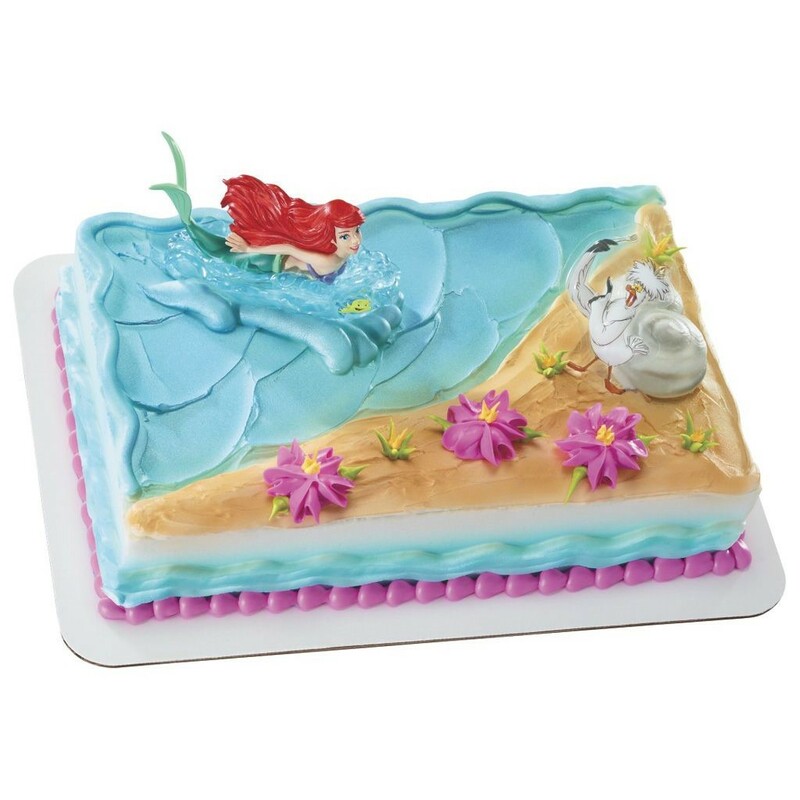 Kroger makes it simple for you to order the perfect cake from their licensed designs or to build your own model. Just choose the one you like and enjoy it. 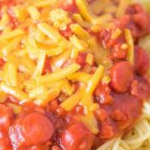 Unlike any other spaghetti recipe Filipino Style Spaghetti is quite different and simple, no herbs and no other spices and a little bit sweet cause it is really cooked specially for kids, famous for every events, parties and celebrations in Philippines. It is very simple recipe and you don’t have to be an expert to prepare and cook this Filipino Style dish. As I told you, this is a very simple dish, so I decided to share to you my own version of Filipino Style Spaghetti with a twist. I’m sure your kids love this. Enjoy!! 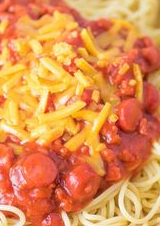 Cook spaghetti in salted boiling water in a pot over medium heat, let it cook for about 7 to 9 minutes or until firm to bite then drain well. Heat oil in a large saucepan then add the sliced hot dogs and stir occasionally, for about 1 to 2 minutes or until lightly browned and remove from pan and set aside. In a pan, add onions, garlic, and bell peppers. Cook until softened. Then add the ground beef and cook, stir occasionally and break into small pieces, for about 7 to 10 minutes until lightly browned. Drain any excess fat. Add the beef broth, ketchup, tomato sauce, tomato paste and sugar then stir in. Bring to a boil and lower heat to simmer, cover for about one hour or until meat is fully cooked and sauce is thickened. If sauce is getting too thick, add water as needed. In the last 10 minutes of cooking, add browned hot dogs. Season with salt and pepper to taste and top your shredded cheese. It’s sad but I’ve hosted many events where there is someone who behaves so poorly that I make a note never to invite them back. I still have some folks whom I don’t speak to due to their rudeness at my son’s wedding, and that was over 3 years ago! During the upcoming holiday season many of us will find ourselves guests at various holiday functions. Whether it be Thanksgiving dinner with family, an office Christmas party, or a friend’s New Year’s Eve bash it is important to behave appropriately and considerately. You don’t want to be the guest everyone remembers for obnoxious behavior or the one whose outrageous antics will be talked about for years to come. Most importantly you’ll probably want to be invited back soon. Here are a few tips on party etiquette that should ensure you don’t go home with a bad rep! 1. Always acknowledge a party invitation! 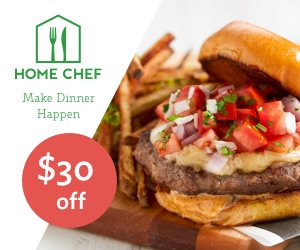 Whether it be a formal written invitation to a wedding or an informal call asking you over for a neighborhood barbeque, let the host know if you will be attending. If the invitation comes with an RSVP card mail it back by the due date, if it’s an informal call or email respond appropriately with a call, text, or email. Your host needs to know how many people to expect so he can prepare accordingly. 2. If you accepted an invitation but must cancel do so as soon as possible. If you are sick don’t spread your germs, stay home and call in your regrets. 3. Arrive promptly. There is no such thing as “stylishly late”. If you are going to be unavoidedly late, more than 10-15 minutes, call your hostess and let her know you’re running late and when you expect to arrive. If you are going to be more than an hour late, call and let them know you’ve had an emergency and will not be able to attend. Unless the event is an “open house” where times are between certain hours, do not arrive a couple of hours late and expect to be served a hot meal! 4. Dress appropriately! You don’t wear your ballgown or tux to a backyard barbeque and you don’t wear shorts or jeans to a formal affair. 5. Practice good personal hygiene and grooming. There is no excuse for sloppiness and uncleanliness. You don’t want to everyone to endure an evening breathing offensive odors. 6. Unless you’ve been invited to a pot-luck leave your famous pasta casserole at home. You may ask your hostess if there is something you can bring to her party, but if she says no thank you don’t insist on bringing your award winning dish, it may not fit in with her themed menu. If you must bring your famous dish or dessert package it as a hostess gift and present it to your hostess as something she can enjoy later, don’t insist it be served immediately. 7. 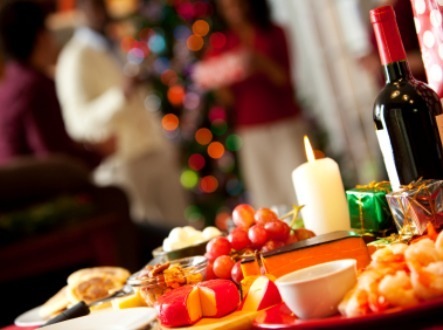 Enjoy the food, drinks, and company, but don’t overindulge. No one wants to hear or smell offensive bodily sounds. And do not get stinking drunk and act stupid. It’s a sure bet if you do either you will not be invited back. 8. Act sociably, friendly, and appropriately. Don’t get into loud debates or arguments with other guests even if you’re passionate about a topic. Sure you’re entitled to your opinions, but there is a time and place for everything. An office party is probably not the right place to loudly voice your political or religious views which ever side of the aisle you’re on. Acting inappropriately at office functions may cause you to be passed over for that promotion you’ve been hoping for! 9. Mind your manners and respect your environment. If the meal is served buffet style don’t pile your plate with the delicious seafood dish, take a serving and leave some for other guests, you may be able to go for seconds later. Use cocktail napkins or coasters when placing drinks on tables. Try not to spill that red wine on your host’s white carpet, if you do let the host know immediately so that it can be dealt with as soon as possible. If you use the bathroom be neat about it, don’t leave it messy and nasty for the next person. Do not start packing food to take home unless your hostess offers you the opportunity at the end of the party. There is no excuse for rudeness. 10. Bring an appropriate hostess gift, it’s always a nice gesture. It doesn’t have to be expensive, a small token will do. Here are a few suggestions that may get you invited back. Thanksgiving Spice Kit is a nice gift for the holiday season by The Mixing Bowl Kids. You can add a recipe card with a recipe for using the spices. 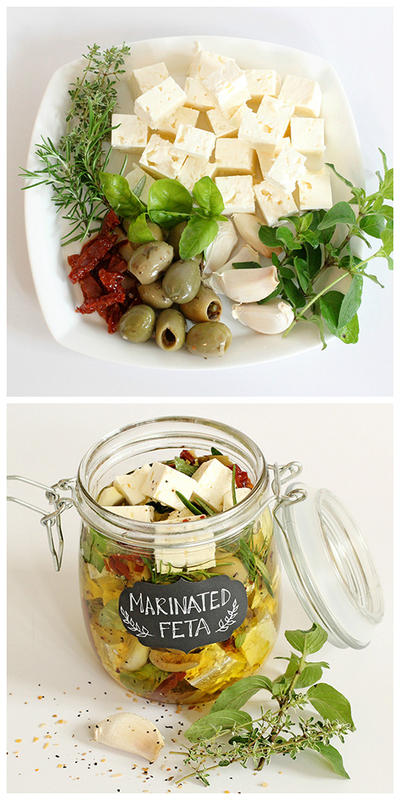 This yummy Marinated Feta Cheese from Dabbles and Babbles makes a great gift your hostess can enjoy later. Present it in a pretty jar as shown or a Mason Jar with a nice ribbon. 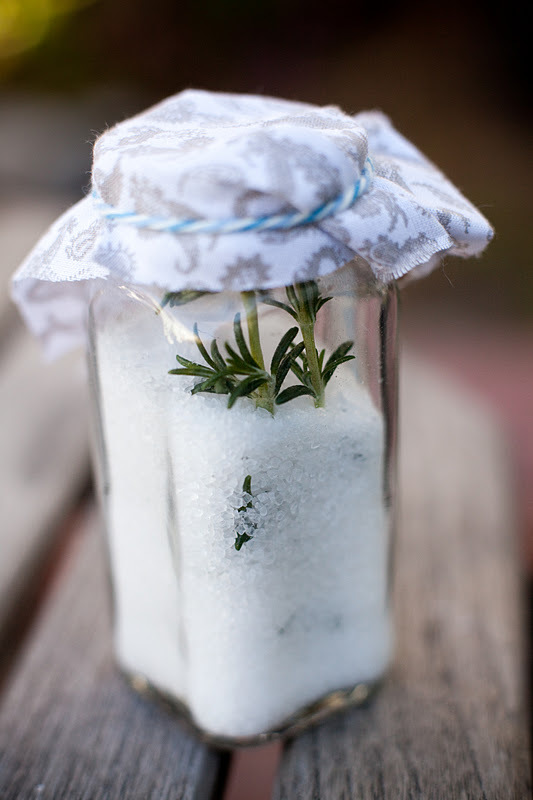 Rosemary infused sea salt from Valley & CoLifestyle is inexpensive and easy to make, and your hostess will love it! 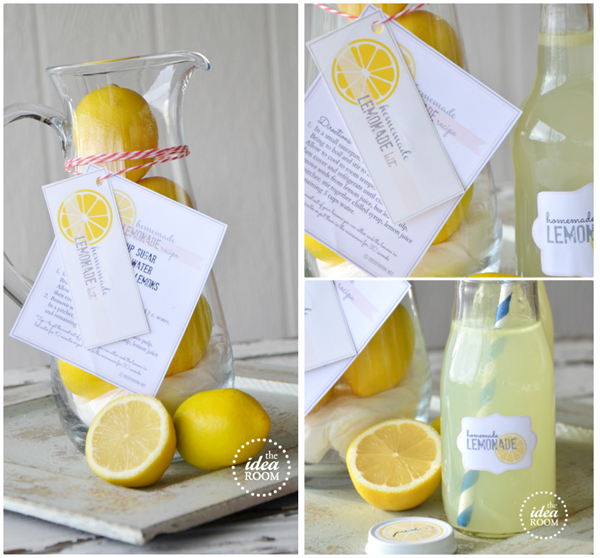 This Lemonade Kit from The Idea Room would make a great hostess gift for a backyard barbeque! 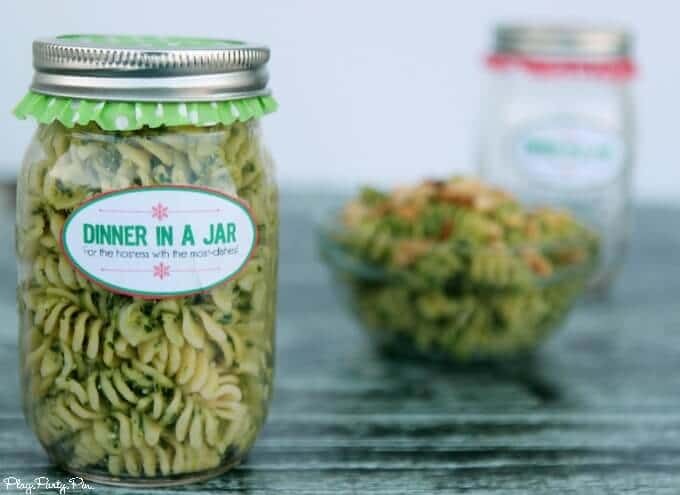 Your hostess will love this Dinner in a Jar by Play. Party. Pin. She’ll probably be tired after entertaining and won’t want to make dinner the next day, she can enjoy it then! Every hostess will love this Spruced up cutting board by Sugar and Charm. 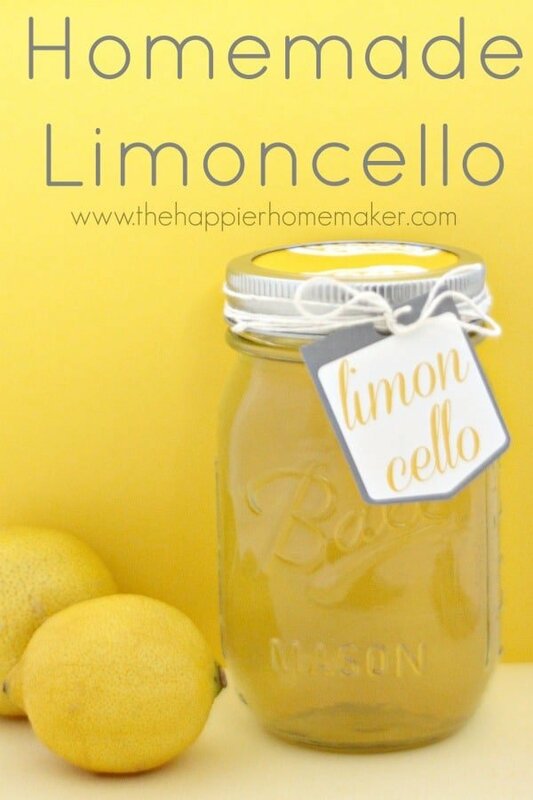 How about homemade Limoncello by The Happier Homemaker. If you don’t have time to make anything a nice bottle of wine is always a great gift. 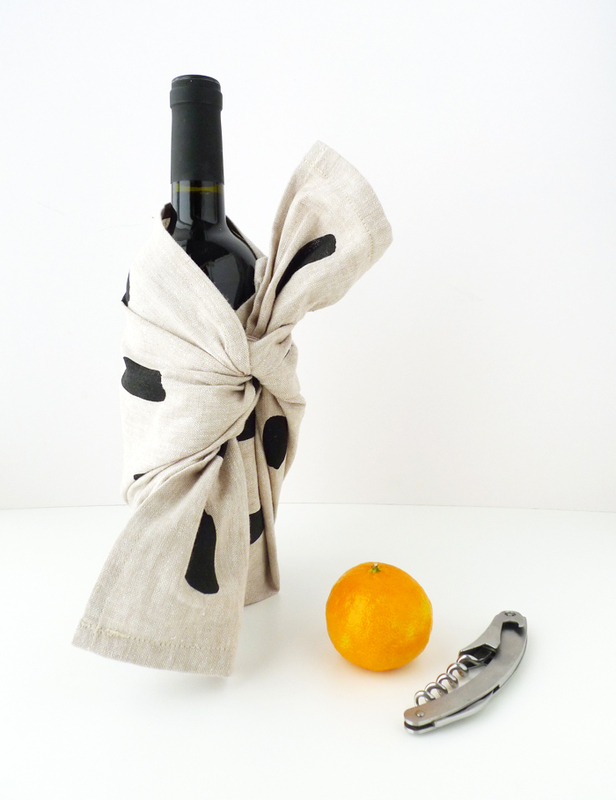 Make it special by wrapping it in a nice dish towel like the one shown here by Cotton & Flax. Everyone loves a good party and every hostess aspires to be the hostess with the mostest. But before the first guests arrive there is much work to be done in order to make each event memorable. That calls for Party Planning 101! Whether you’re planning for your dream wedding, a friend’s baby shower, your child’s first birthday, an office Christmas party, or even just a backyard barbecue, the key to a successful event is planning! Planning in my world means making lists and lots of them. It starts as soon as you decide you are hosting a party or event. Lists keep you on track and on budget. Believe me parties can easy morph in to a budget busting extravaganza, lists keep you focused and help you trim the fat so to speak. 1. BUDGET – Have an idea of your budget and write it down! How much can you spend on this event? This will determine most if not all of the choices you will be making. 2. 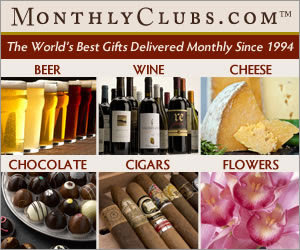 GUEST COUNT – Have an idea of how many people you are thinking of inviting. You need to have an idea of how many people may be attending so you can decide on your venue, menu, etc. and be able to stay within your budget. 3. DATE & TIME – Choose your date wisely. Sure you may want a Saturday evening wedding in June, or a Christmas party on Christmas Day, but keep your budget and guests in mind. Everything wedding related is more expensive during the wedding season that spans from May – August; and many people may have family obligations on Christmas day. Unless your party will be at home remember that venues are at a premium on weekends and holidays. You may be able to negotiate a better deal for weekday or off season events. Also breakfast/brunch and luncheon affairs are usually less expensive than dinner ones. 4. 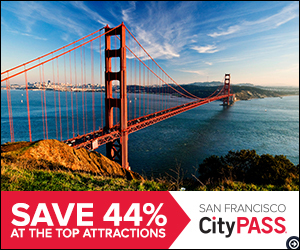 Decide on your venue and secure it. The first 2 questions you will be asked when inquiring about a venue is date and guest count, followed by budget, so have them ready. Choosing a venue, unless you’re having a party at home, can be the most difficult part of planning, specially if you have to coordinate dates between 2 venues, like a church ceremony and a reception venue. If this is the case you may have to reserve both at least 6-12 months ahead, specially if your event will be during the peak seasons. * Before looking at venues write down 3 words that best describe how you imagine your event; Memorable, Fun, Beautiful, etc. Keep these words in mind when you shop for a venue. Consider venues that can be tailored to fit your expectations; if you want a memorable beach wedding then looking at ski resorts in Aspen would be a waste of time. ** You should decide in advance which is more important, your date, venue, budget, or guest list. You may have to be flexible on one or the other. If that romantic mansion can only accommodate 75 people are you able and willing to trim your 200 person guest list down? If the ballroom at that glamorous hotel isn’t available on your date are you willing to change the date? If renting that banquet hall takes up half of your budget can you increase your budget or do you shop for a different venue? Once you have decided on and secured these for things the real planning fun begins, the details!